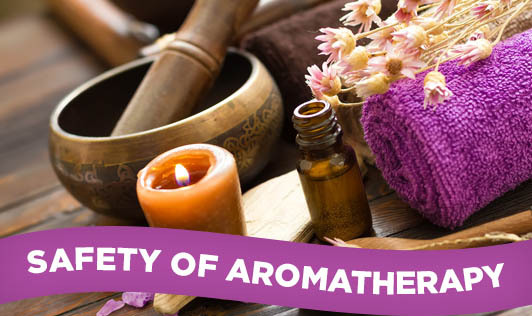 Aromatherapy has been used to promote relaxation and help relieve stress. It has also been used to help treat a wide range of physical and mental conditions, including burns, infections, depression, insomnia, and high blood pressure. But so far there is limited scientific evidence to support claims that aromatherapy effectively prevents or cures illness. Keep all essential oils away from children. Children younger than five years should not use aromatherapy, because they can be very sensitive to the oil. Never use undiluted essential oils on your skin. Do not use these oils near the eyes or mouth, because irritation of the skin and membranes may occur. Check for contraindications before use. Use only the required amount of essential oil needed for blending with the base substance and do not increase the amounts. Use diluted essential oil on a small patch of skin to determine the level of sensitivity. Never use essential oils near flames because they are inflammable. Lung conditions: Asthma, respiratory allergies, or chronic lung disease. Oils may cause airway spasms. Skin allergies: Some oils may cause skin irritation, especially in the membranes of the eyes, nose, and mouth. Pregnancy: Some oils (such as juniper, rosemary, and sage) may cause uterine contractions.